Margaret River is a region rich in diversity, drawing visitors from across Australia and around the globe to experience its quality wines and food. While the region produces less than three percent of country’s wine, it accounts for more than 20 percent of its premium wine. There are more than 120 world-class wineries in the area, along with producers of artisan cheeses, olives, chocolate, truffles, marron and more. 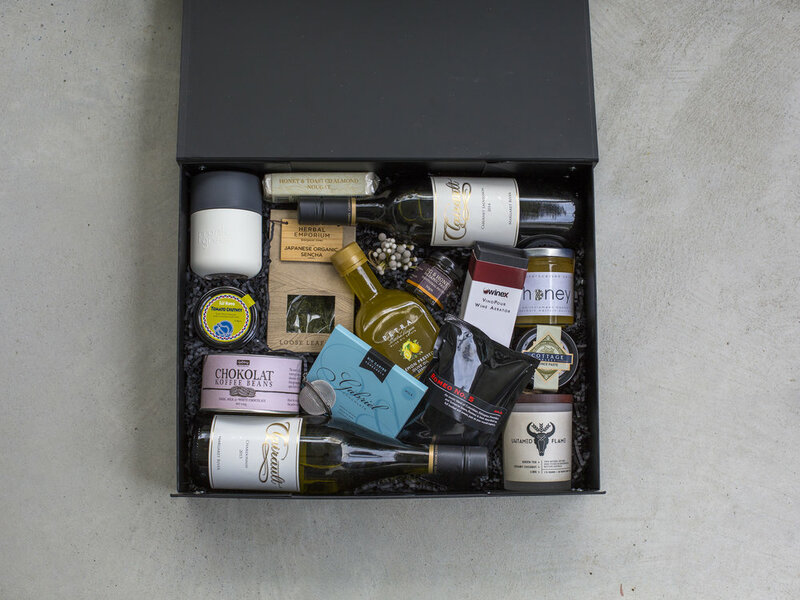 Founded in 2017, The Margaret River Gift Box Co crafts hand-picked gift boxes which capture the essence of this spectacular region, allowing you to share the Margaret River experience with your friends, family, colleagues or clients. Every box is created using the best the region has to offer, beautifully presented in a quality box to make a gift the recipient will truly appreciate. For our corporate clients, we are able to customise your selected gift boxes by printing your company name / logo on the ribbon, resulting in a personalised gift your company will be proud to present. Successful companies recognise that small gestures of goodwill can make a significant difference in establishing and maintaining positive and profitable relationships, whether with employees or clients. Internal recognition and reward are powerful ways to improve productivity, while acknowledging customer loyalty is a proven means of client retention. Research says it can cost between four and ten times more to acquire a new client than it does to retain an existing one – and in some cases, over 30 times more. And repeat clients spend, on average, 67 percent more than new ones. So it makes sense to do everything you can to keep the customers you have; and that includes surprising them with a “thank you” occasionally. When a client receives a gift box, you want the impression to last beyond the moment they open it. 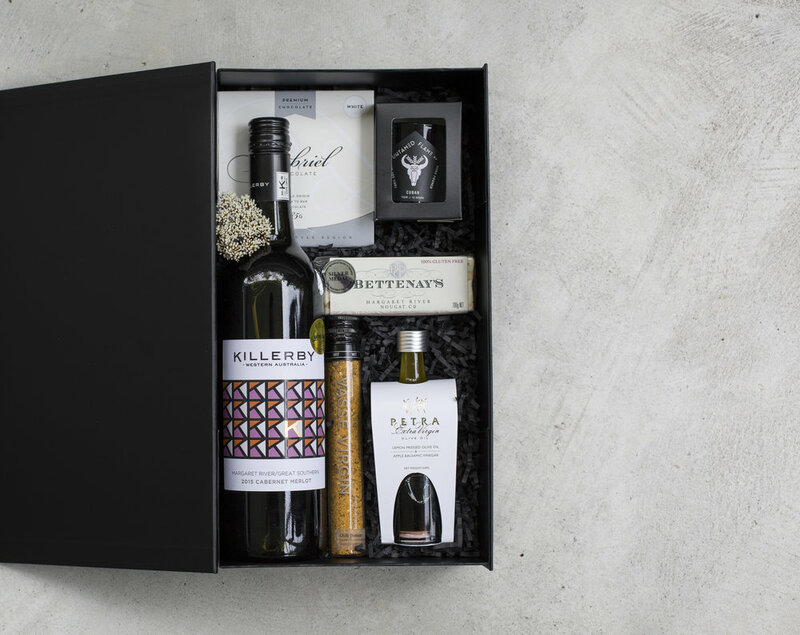 The Margaret River Gift Box Co can personalise our products so they become yours, reflecting your own brand, reinforcing and extending the impact of your investment. Whether it’s a single gift rewarding a colleague for exceptional performance, or an appreciation sent to every member of a large client base, our service can meet your gifting needs.